Since 2010 Dr Benzi has been Partner of the Malo Clinic Lisbon where he works directly alongside Prof. Paulo Malo, inventor of the immediate load All-on-4™. prosthetic implant. 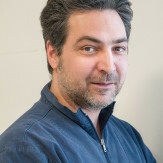 He is also tutor for official courses on the Nobel Biocare and NobelGuide ™ method. 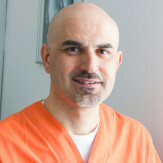 Dr Benzi also holds ‘local’ courses at Studio Benzi Dental Clinic. 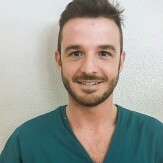 Degree in Dentistry and Dental Prosthetics from the University of Pavia in ’93; Thesis developed on the subject “Clinical evaluation of the characteristics of some composite resins” published on “Modern Dentistry”. Course in Advanced Restorative Dentistry awarded at the University of Genoa in ’97. Has clinically performed hundreds of fillings and restorations in composite material by direct method, with particular attention to conservative indirect composite inlays. Graduated with honors in Medicine and Surgery at the University of Pavia and specialized with honors in Dentistry at a school in Milan directed by Prof. G.Vogel. Exclusivist in Orthognathology for over 10 years, has written numerous publications on the subject. Graduated with honors, in Dentistry, Dental Prothesis at the Faculty of Medicine at the University of Genoa. He participated in several courses on oral surgery including surgical anatomy during dissection of anatomical preparations in Vienna. 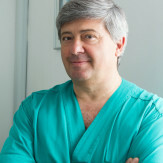 He has been collaborating with the Maxillofacial Department of EO Galliera Hospital in Genoa since 2012. 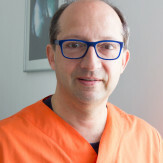 Has collaborated with Dr. Benzi for everything related to temporary restoration since 1990, having served as head of the internal laboratory at PROMES Health studio in Milan, where Dr. Benzi operated for 17 years, until 2010. 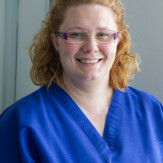 Has worked as a dental nurse for 12 years, both in Conservative Dentistry and Orthodontic Surgery. Has worked as a dental nurse for 12 years, both in Conservative Dentistry and Orthodontic Surgery. She attended courses in practice management, patient communication, sterilization and safety in the workplace. Accountant with decades of experience in back-office activities. 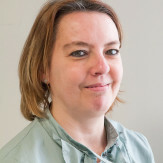 She is in charge of administrative and managerial aspects of the Studio. 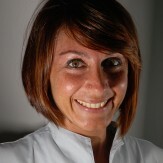 Ms Zulato also assists in the management of patients and appointments.